Meanwhile, the City is giving developers incentives to demolish buildings and build luxury condos and hotels. We must act NOW to protect our families, our homes, our community, and our culture. Our community needs a rezoning plan that will protect affordable space, protect the fabric of our community, and create new affordable spaces for residents and all New Yorkers who love, live, work, and play in Chinatown. Zoning is a tool used by city planners to control, promote, and/ or deter development. It affects housing, businesses, factories, and everything else that makes up a neighborhood. It determines what can be built, how high it can be built, and for what purpose. Our current zoning encourages real estate speculation, luxury development, and rising rents, which leads to mass displacement, as we have seen in other neighborhoods such as Harlem and Williamsburg. A good zoning plan can protect and improve our neighborhood. We believe that when land use decisions are made with the needs of residents and with the goal of sustainable development at the forefront, healthy and vibrant communities are the result. 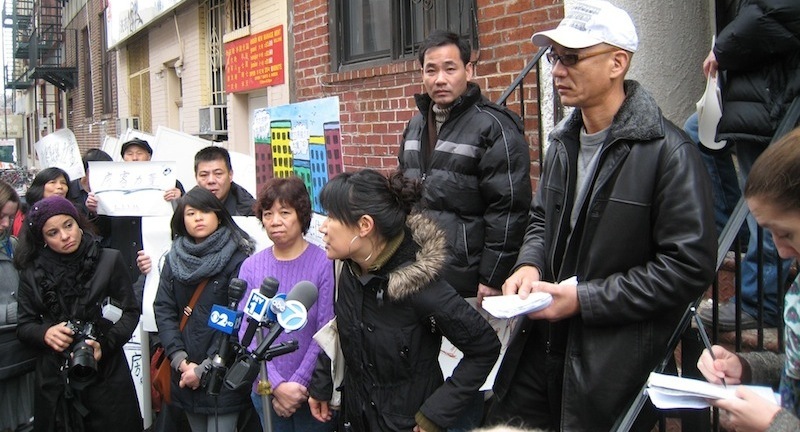 Support our campaign to create a zoning plan that protects low-income residents and small businesses, and say with us, a Chinatown for residents is a Chinatown for all!